And not because he's one of the world's best players. Because he isn't. Though he is a hard-grafting, top-class central midfielder with the tenacity of a Yorkshire Terrier. 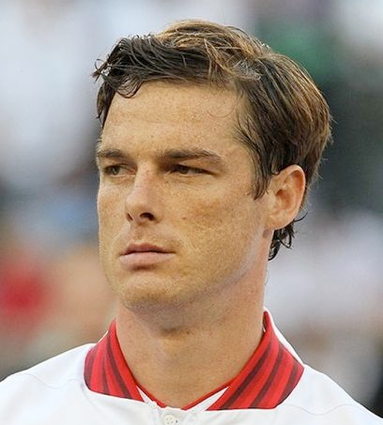 I love Scott Parker for another reason. They say nostalgia ain't what it used to be. And that's probably true enough. Because things are better now than in the past. You can sit in a football stand and watch the game. Instead of the fighting on the terraces. Wondering if you'll have to hide your scarf to get home safely after the game. And you don't have to listen to racist, sexist or homophobic comments. Because they're against the law. But mainly perhaps because people have changed. And today even a player of John Terry's standing can be hauled before the beak for using ill-chosen words. But things are rarely black and white. And it seems to me that back then - in the sixties - we could trust our heroes more. To behave well on the pitch and off it. They were no limo-driven prima donnas, hiding behind blacked-out windows and Armani sunglasses, fleeing from their fans. And making the news for all the wrong reasons. At least not on the football field. And life-long supporters hadn't been priced out of their grounds. To allow players to earn more in a day than some healthcare workers do in a year. And I love watching Scott Parker because his short back and sides with its side parting, his military poise, his shirt tucked neatly in his shorts, and his on and off-field conduct take me back to those days. When we could trust our sporting heroes. When despite their fame they were still normal people. Like our mums and dads. And it was still the people's game. So let's hear it for Mr Parker. For showing us that even though we have new and often better values, the good old-fashioned values still exist. And for reminding us of simpler times.